Tuesday, April 30 • 6:40 - 7:15 p.m. • The Kimberly Clark Theater at the Fox Cities P.A.C. 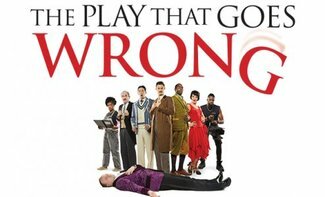 The Play That Goes Wrong has been hailed as “the funniest play Broadway has ever seen” (HuffPost). Before you take your seat to laugh and enjoy the performance, try out comedy yourself! The Backlot Comedy House will be here preshow to teach aspiring comedians some improvisation tips and activities. We encourage families to participate in this event together. After all, what’s more fun than laughing and playing together as a family? This event is free and open to ticket holders for the Tuesday, April 30 performance. Do you still need to buy your Kids’ Night on Broadway® tickets? Click here, choose the April 30 performance and enter code KIDS for a buy one adult ticket, get a child’s ticket free offer! Location: Kimberly-Clark Theater at the Fox Cities P.A.C.